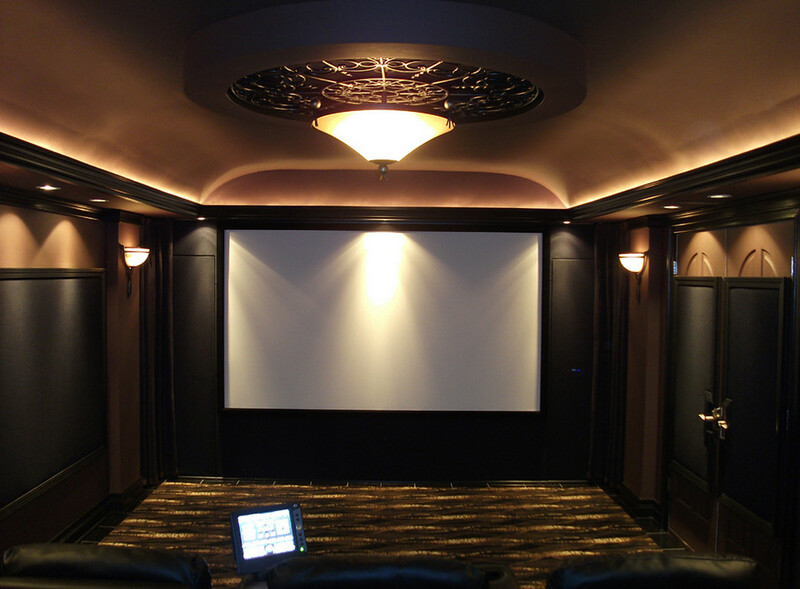 If you look at this home theater, you will notice that a lot of attention has been given to the lights. A variety of lights have been added to the theater surfaces including the colorful ceiling light. There are other wall lights that are just bright enough to lighten up the black furniture and surfaces on the floor.